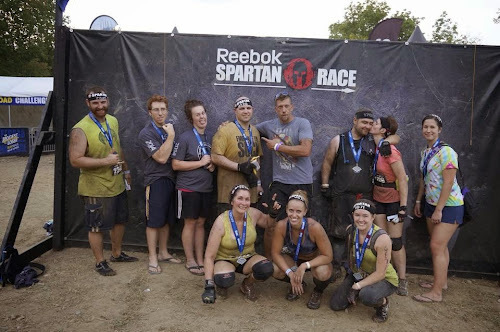 The team had an amazing day at Super Spartan! This Saturday we tackle the Civilian a Military Combine. Today we hit a recovery WOD. Here's a great shot of the team after the finish of the Tri State Spartan Super. The team did an amazing job on a tough 8 mile course.